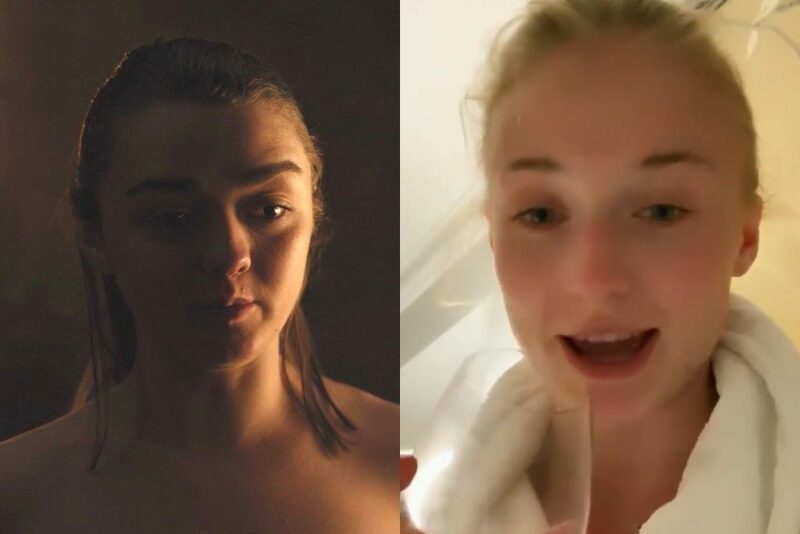 It's been a weird week in Canberra. 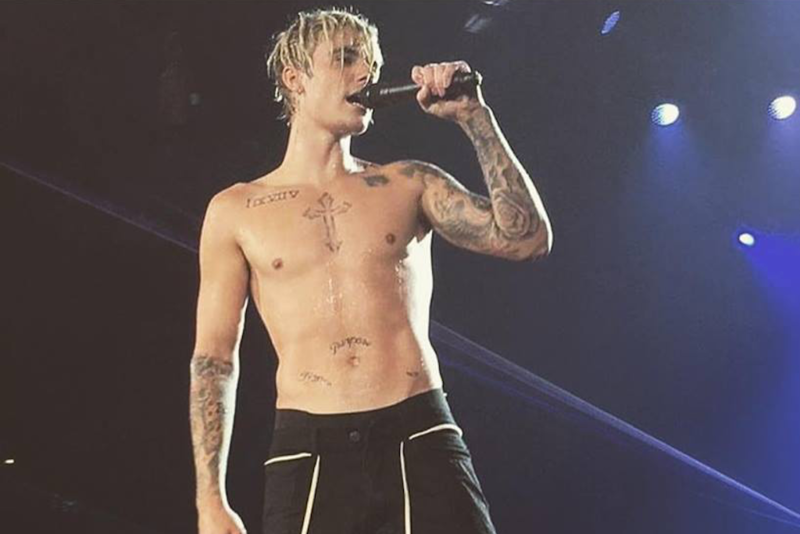 It’s been a wild week in Canberra, oh boy has it ever. First Cory Bernardi quit the Libs in a blaze of self-aggrandising glory. 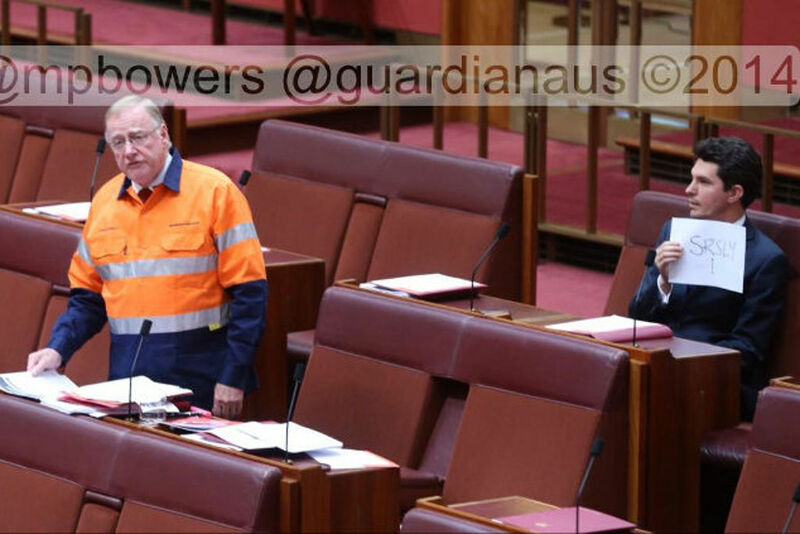 Then Head Boy Malcolm Trumble had a spray at Bill Shorten while Barnaby Joyce appeared to have a minor heart attack. Meanwhile, the government introduced new legislation designed to boot young jobseekers off Newstart. Ugh. 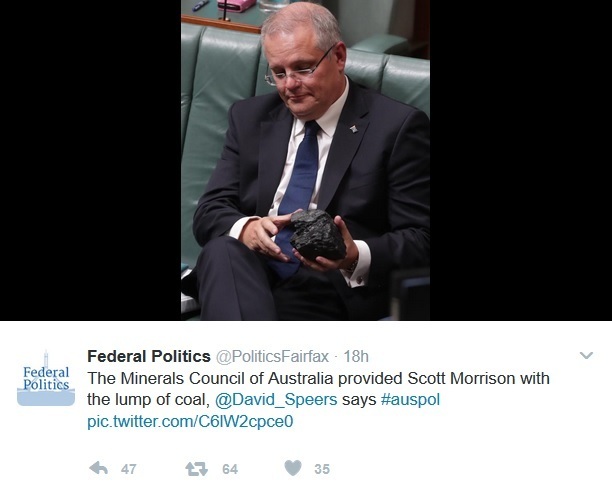 But things took a turn for the ridiculous during question time yesterday afternoon thanks to Treasurer Scott Morrison, who addressed the House of Reps brandishing a giant chunk of coal. 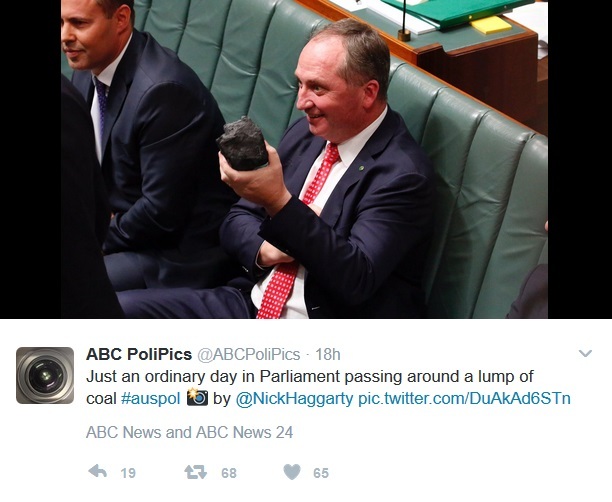 The treasurer then passed his prop to Joyce before launching an attack on Labor MPs for their “coal-phobia”. 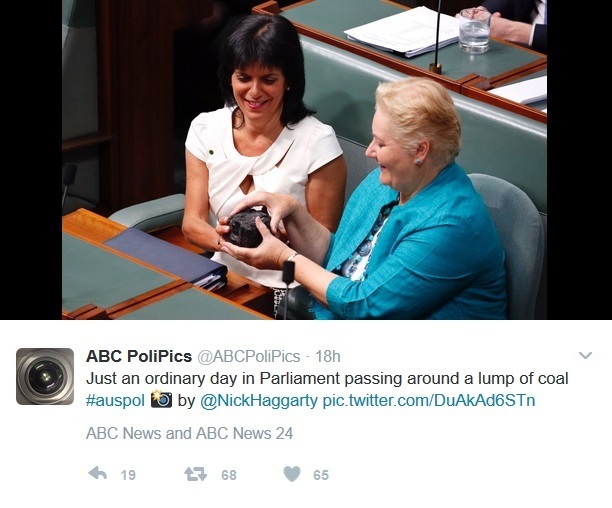 Meanwhile, members of the government poked and prodded and creepily stroked the lump of coal like it was the most fascinating thing they’d ever seen in their lives. 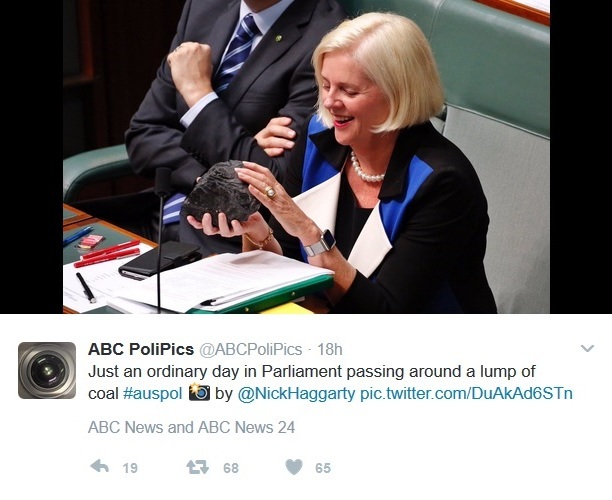 Barnaby loved his new coal. 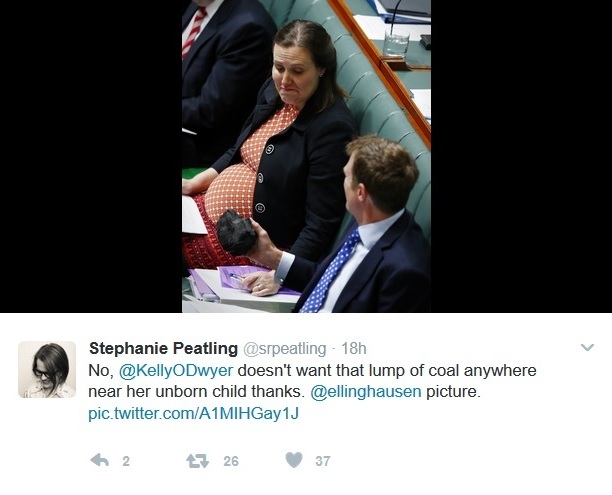 Kelly O’Dwyer, not so much. 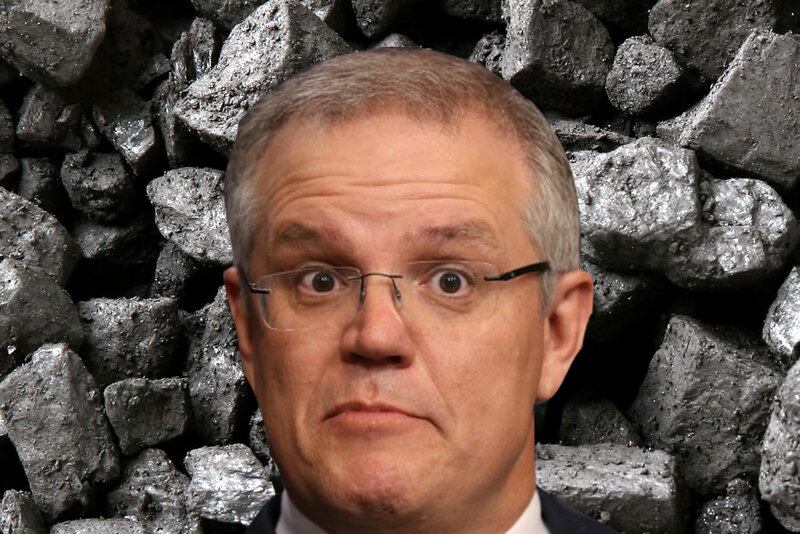 Of course while Morrison is correct in saying that a lot of people currently work in the coal industry, the idea of coal as part of a sustainable energy future is kind of a stretch. 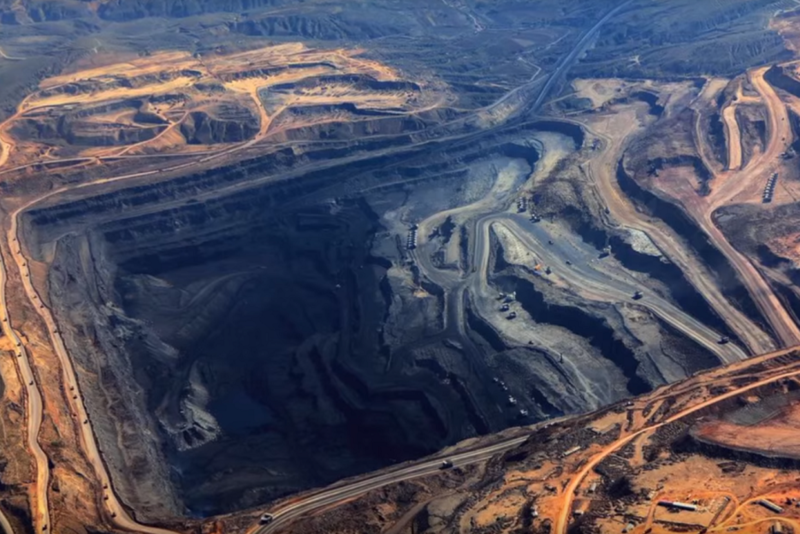 Unless this is that “clean coal” that I’ve been hearing so much about, in which case carry on Mr Treasurer. So grandad, what did the politicians do when climate change began being irreversible? 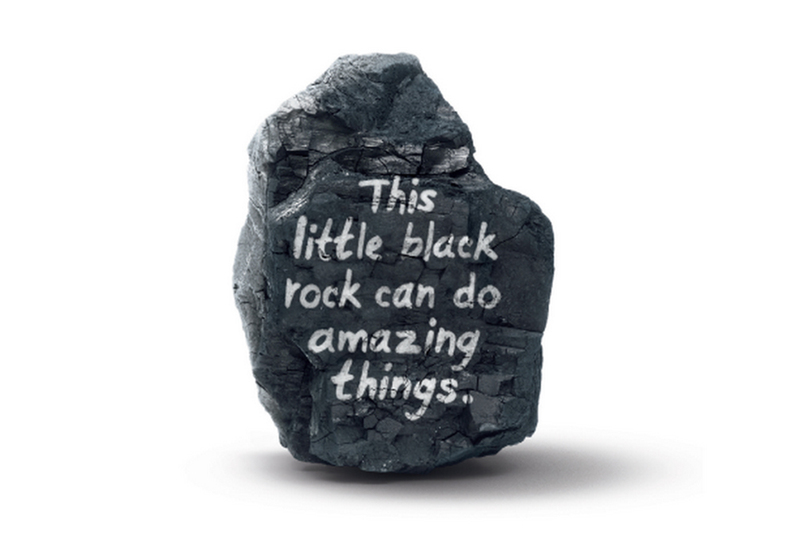 Well, they passed a piece of coal around and laughed.